Oh, what is a book hook? 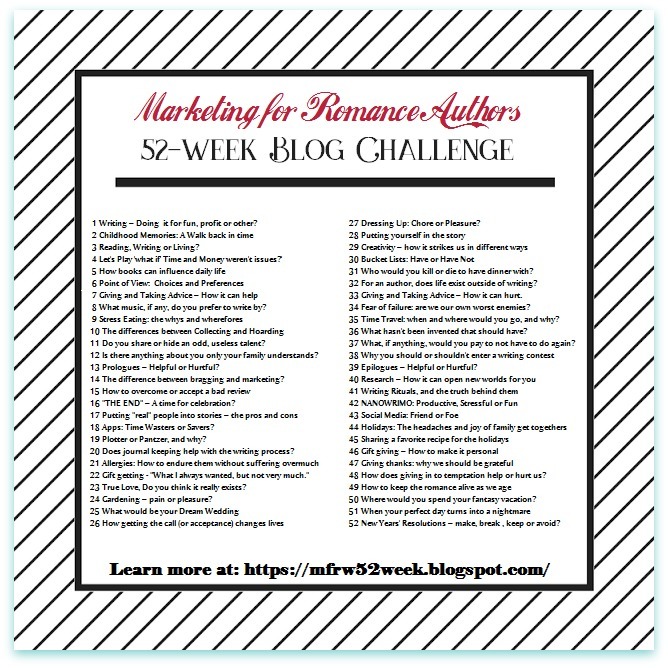 From the MFRW Authors Blog: Book Hooks is a weekly meme hosted by Marketing for Romance Writers as part of the MFRW Authors Blog. It’s a chance each week to hook readers on your current WIP or any previously published book. Italian class meets bull rider rowdy. Then her thoughts drifted back to the cowboy who sauntered in like he owned Tucson. She hadn’t even gotten his name. Velia slapped her palm against her forehead. How come I didn’t ask his name? It was scrawled across the flyer he tossed on the desk, but she didn’t pay any attention. She went to her laptop and typed in rodeo stars for the current year. She found a slew of links. How could she find him out of all these? Clicking on images brought even more results. “Mm, che belli cowboys!” While browsing all the handsome guys, she examined the action photos and knew she could do as well or better. Wait. He said bull riding not rodeo. Again, her thoughts went back to his request—to travel with him for almost a year. She fanned herself with the newspaper. Could her heart take so much manliness? For a whole year? Also available at Kobo, B&N and iBooks. Bull rider Caulder McCutchen wants to start living again. But this year he has a good chance of winning the converted buckle, knowing he has to ride harder, go bigger, or go home. Winning consumes him, but it doesn’t take away the pain from a tremendous loss less than two years ago. On a whim, he hires a feisty photographer to travel the bull riding circuit with him for a season. A little extra publicity can’t hurt, and she’s easy on the eyes. When he finds himself passionately attracted to her, will this sassy little Italian photographer prove to be just what his claim to fame needs—or a disastrous distraction? Reader advisory: Rated R by movie standards. Please visit the other Book Hook participants. Powered by Linky Tools doesn’t show up on my Word Press Blog like it should. Please click below for the lists of participants. Click here to visit other Book Hook participants. Teagan, I’m more than happy to hear that. If I can impress a non-romance reader, I’ve done my job. I love my feisty Velia. And just think…she has a whole new book about to be released. Thanks for your comment. Here you go again Mary J, getting folk all hot and bothered. I’m glad I don’t remember anything like this or I’d be in trouble too. Your hook is perfect and the blurb a perfect piece of writing also designed to whet the appetite.